EDSYN ZD500DX Self-Contained Deluxe Hot Tip Desoldering Station. An industry leader in performance for years, now at an incredible price - Our Best Seller. This EDSYN ZD500DX Desoldering Station has been our best selling hot tip desoldering station, and now you can experience why when you take advantage of this incredible pricing. 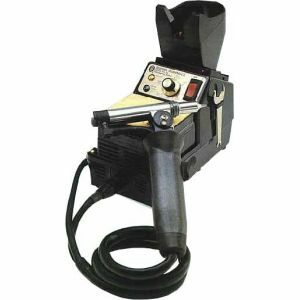 WT623Tip wrench, dual open end, 1/4" & 3/4"
Purchase a EDSYN ZD500DX Desoldering Station sold by Howard Electronics Today!